Set in 1994 when the Seongsu Bridge collapsed in Seoul. Eun-Hee (Park Ji-Hoo) is a middle school student. She lives with her parents who run a mill, older sister and older brother. While each of the family members struggle to deal with their own problems, Eun-Hee wanders. An female adult comes to Eun-Hee. That female adult is the only one who can understand Eun-Hee. 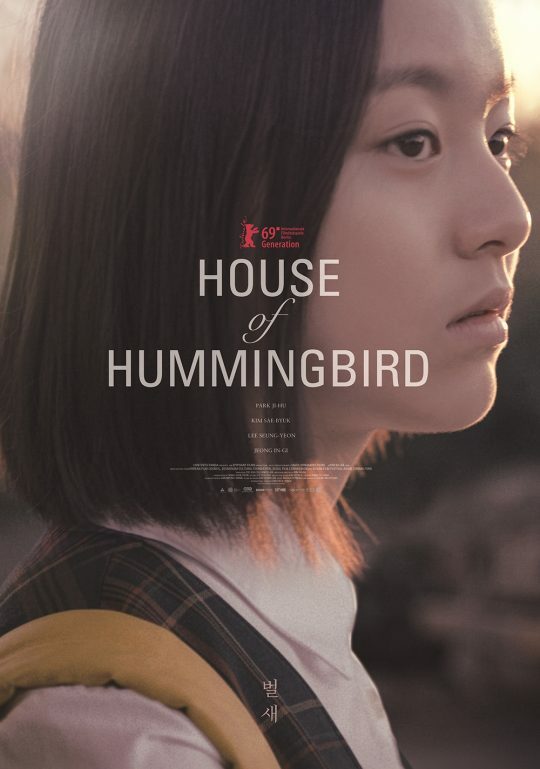 "House of Hummingbird" had its world premiere at the 23rd Busan International Film Festival (October 4-12, 2018). The film screened in the "New Currents" section and received the "KNN Audience Award" and "NETPAC Award."